Pocket filters are considered to be the best medium-efficiency filter structures at present. 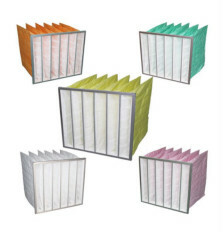 Pocket filters are used as a first or second stage filters in air conditioning systems and centralized air supply systems.If air environment is not strict,pocket filters are used as final filters,the air processed by pocket filers can be supplied to people directly.That is why pocket filters should be replaced frequently. 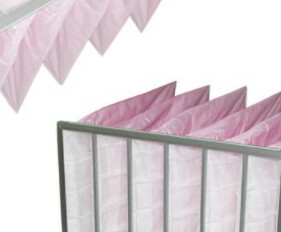 Pocket filters consist of synthetic bags and frame,the synthetic bags are embedded into a sturdy metal frame make the pocket filters won’t shake and break. The synthetic bags are made from ultrafine fiber and organic synthetic fiber available from efficiencies from45% to 98% (F5 – F9) depending on the application. The frames are including galvanized steel frame and aluminum alloy frame. Galvanized steel frame is the most common construction for pocket filters,it is cheaper and stronger than aluminum alloy frame when installing and applying. Pocket filters are also ideal air filters suitable for high humidity environment.Our pocket filters use 16 gauge galvanized steel,it is anti-rust and be used in moist environment . The thickness of galvanized steel frame is 21mm, the length can be no more than 1.2m,s, if you are looking for a reliable pocket filter supplier in China, here are the right place.